Alison Hinds can sing no wrong in my eyes. 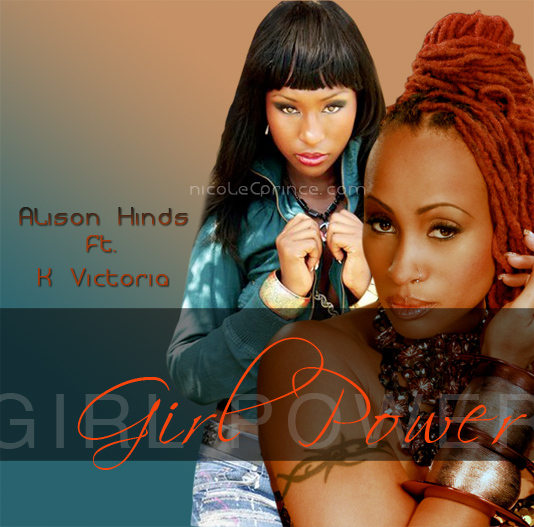 Fellow Virgin Islander, K Victoria, proves that she is well on her way to hanging out at the top with Alison based on how HOT their recently released single - Girl Power - sounds. Kmisha-Victoria is a talented recording artist, singer and songwriter hailing from St. Thomas, Virgin Islands. She is the daughter of a Michigan born father and a Virgin Islands born mother. She claims that her multicultural roots helped to craft the artistic influence that she has developed to this day. She has been performing since she was three years old within her community, singing, dancing and acting. She won several competitions and earned the opportunity to perform abroad. In 2005 she won the Miss American Virgin Islands Competition in St. Thomas and went to the Miss World Competition where she placed as a Top 15 semi-finalist and won the Miss World Talent Title out of 110 contestants competing. Recently, she has performed as an opening act for artists such as Gyptian and Maxi Priest, as well as along side reggae sensation, Pressure Buss Pipe. She has received her Bachelor’s in Music Business Management at the Berklee College of Music. K Victoria also heads her publishing company, K-Victoria Muzik and Publishing. I love this! VI massive lol!